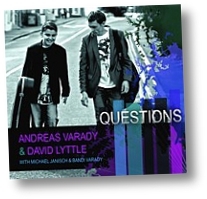 Andreas Varady introduced himself to Irish drumming star David Lyttle online in 2010, describing himself as a twelve-year-old jazz guitarist. Impressed by his talent and potential, David began featuring Andreas in his group, often alongside international stars such as Soweto Kinch, Terell Stafford and Jean Toussaint. 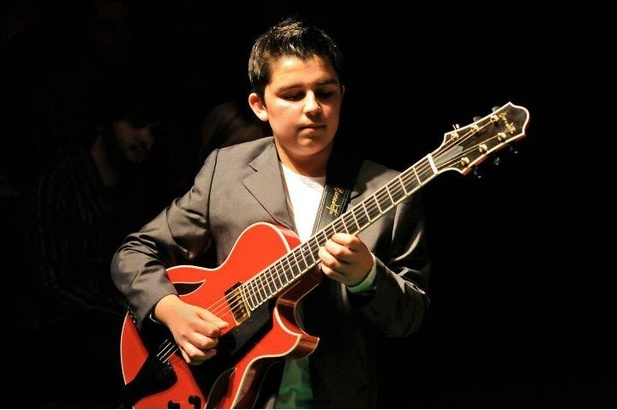 Questions was recorded just days after Andreas' thirteenth birthday and was the focal point of a significant year which saw him guest with guitar greats Louis Stewart, Martin Taylor and Tommy Emmanuel. The album features US bassist Michael Janisch and Andreas' father, Bandi, and quickly led to major live appearances from RTE television's The Late Late Show to London's legendary Ronnie Scott's, where the band received two standing ovations and rave reviews from The Times and Evening Standard, as well as dates in the UK, France, Germany and the South Pacific. Now sixteen, Andreas is managed by super-producer Quincy Jones, whilst David's 2012 crossover album Interlude brought him to an audience of millions, with BBC Radio 1, MOBO and The Daily Mirror among its champions.